One of the rarest butterflies in Europe has returned to the bogs of West Offaly after an absence of over twenty years. The Marsh Fritillary Butterfly was last seen on Turraun Bog in 1995 but has been recorded back on the bog within the past week. Bord na Móna ecologists confirm the butterfly has returned to the area. 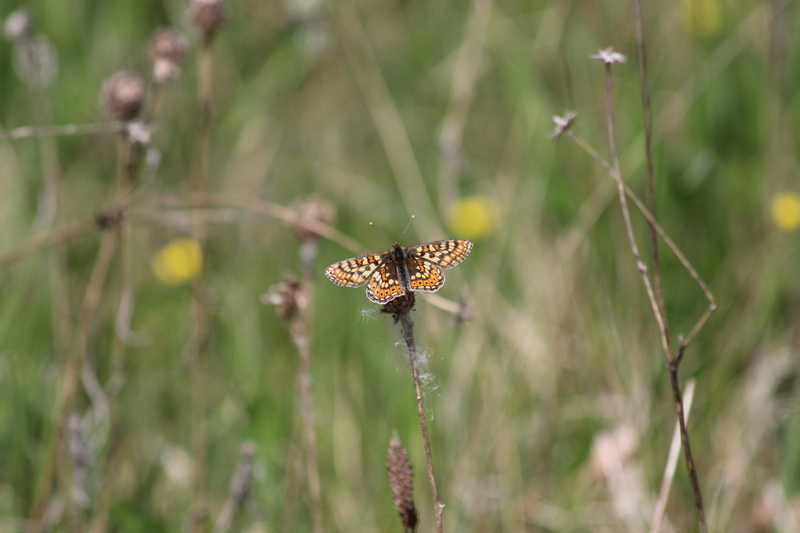 The Head of Bord na Móna’s Energy Department, Joe Lane, said “This is a discovery of big European significance, the Marsh Fritillary Butterfly is a rare and beautiful creature that we thought had disappeared but now we now know to have returned. The Marsh Fritillary is the only Irish butterfly that is protected at a European level. It is a species that will live in wetlands and bog margins. We'd love to hear from you. Help us shape the Lough Boora experience!